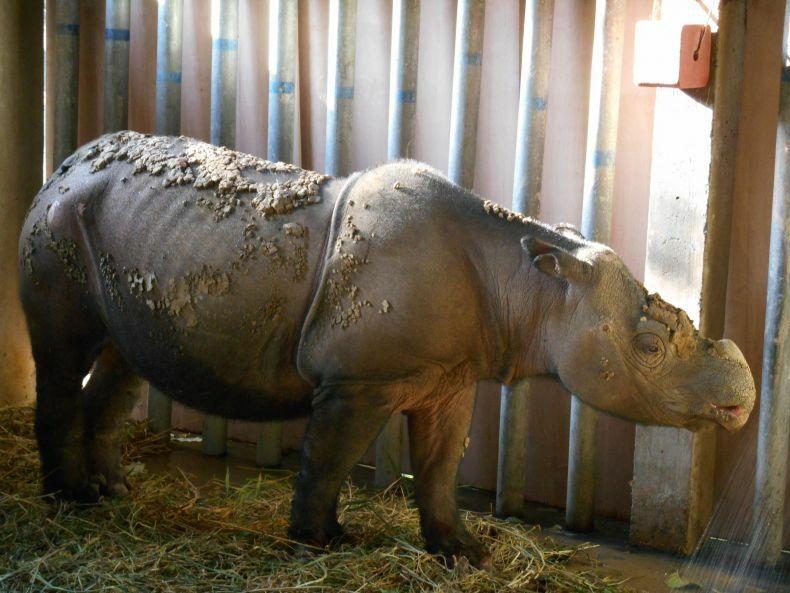 Iman, Malaysia’s very last female Sumatran rhino, has been sick for over a month now. 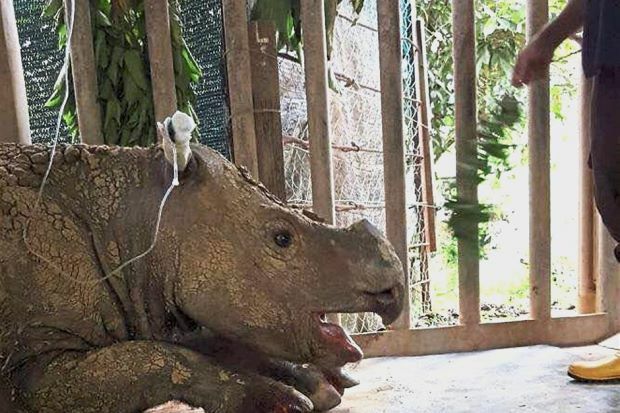 In mid-December her keepers discovered that she had been bleeding from her uterus and the elderly female rhino was soon diagnosed with a uterine tumor. Sadly, we’ve been here before with another female Sumatran rhino, Puntung, who came down with skin cancer last spring and soon succumbed to the disease, leaving only Iman as Malaysia’s last native-born female rhino. Iman was captured in the wild in Sabah in 2014 so as to save her from poachers and has since been part of a captive-breeding project in the Bornean state. As there are only a few dozen Sumatran rhinos left, almost all of them in neighboring Indonesia, every single specimen of the critically endangered species is extremely precious. The sad fate of Malaysia’s rhinos is an indictment of the sorry state of affairs in the country when it comes to wildlife conservation. Once Sumatran rhinos, the world’s smallest living rhino species, roamed far and wide in endless forests in Malaysian Borneo. Today it is almost certain that no rhinos are left in these forests, which have largely been cut down or thinned drastically in recent decades. Fingers crossed that Iman will be able to pull through. Sadly, though, even if she does, the prospects of her species will continue to remain bleak in Malaysia.